Hi Caleb, mistake in OP and release notes again? Am I correct in assuming that LeTigre isn't getting EEP version (524296) and is supposed to be same as Magnum (TBD)? The release notes look right to me, and EEP is being rolled to LeTigre tomorrow, as far as I know. Of course you will need the special test viewer to make used of the update, but that's a given, I guess. Thanks for confirming. Yes, we are trying to expand EEP to more RC channels. Also there is going to be a new build for EEP that includes one internal tweak, but still contains the fixes reported in the previous release notes for EEP. Will update the message shortly. So, what's up with Second Life RC LeTigre 19.02.01.523959 - Second Life RC BlueSteel 19.02.08.524296? Yes, we are trying to expand EEP to more RC channels. Also there is going to be a new build for EEP that includes one internal tweak, but still contains the fixes reported in the previous release notes for EEP. I think Caleb says that there are incremental improvements in successive versions of the EEP code so that is not a surprise. The clocks on the LeTigre servers are messed up after the restart. Normally on the mainland, going from one sim to the other is a smooth transition in terms of what time it is. Now when you go from one sim to another, you get the whole rotational time change thing. I've checked this on a few LeTigre sims. I haven't looked at the other RC channels. Try it from Arches to Lapara. Lapara to Foxglove, etc. 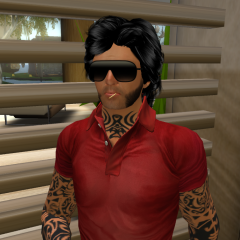 Or if you know of another mainland LeTigre sim. In Arches, it's night. In Lapara, it's dusk. This is going to be a very irritating issue on the mainlaind. Think of flying, driving, or riding a train. [2019/02/13 07:23:48] Rider Linden: Oh! A heads up for your support. We are adding LeTigra to the mix of EEP regions. There may be a few reports along the lines of "My lights don't sync with the day cycle anymore... but it worked for years with no problem"
[2019/02/13 07:24:22] Rider Linden: The other is "When I cross the region the time of day seems to change"
[2019/02/13 07:24:40] Willow Wilder: Thanks Rider. [2019/02/13 07:25:52] Hope Dreier: On behalf of the support team, we thank you. The transition may be a bit uncomfortable. "years"...it's been over a decade. I built a city over two sims. The jet-leg is going to be unbelievable; time to d/l the new viewer that has EEP. For as much as I enjoy the SL cycle, I've been wanting to change the settings for the seasons for a decade!